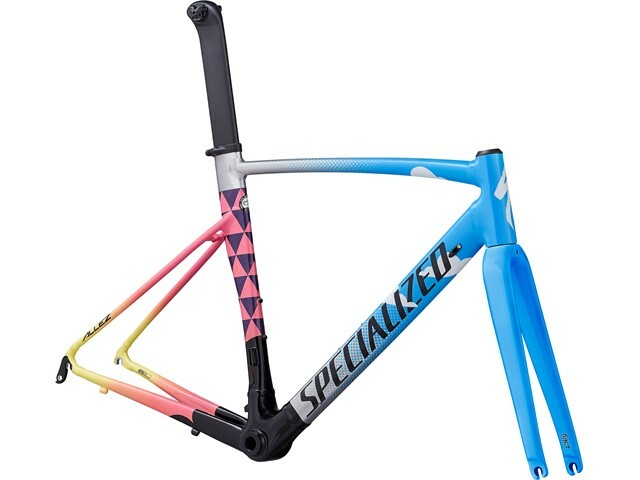 E5 Premium Aluminum frame with Allez D'Aluisio Smartweld Sprint Technology refocuses weld locations, allowing for more material to be placed strategically for increased stiffness and compliance where you need it most. Our top-tier S-Works Tarmac Disc FACT carbon fiber fork provides incredible stiffness and front-end steering response, while also efficiently absorbing road chatter. The Venge FACT carbon fiber seatpost acts as a stiff, aerodynamic perch for your saddle. We’re proud to be your local shop for all things Specialized. We share your passion for bikes, and for us, this means only selling bikes that we love. It’s the motivation behind our eagerness to go above and beyond to make sure you have a great experience, get everything you need, and that you leave feeling confident to head out on your next ride. Visit us in person to see for yourself how much we have to offer. © 2018. Specialized Bike Components. All Rights Reserved.